This is a 34mm. 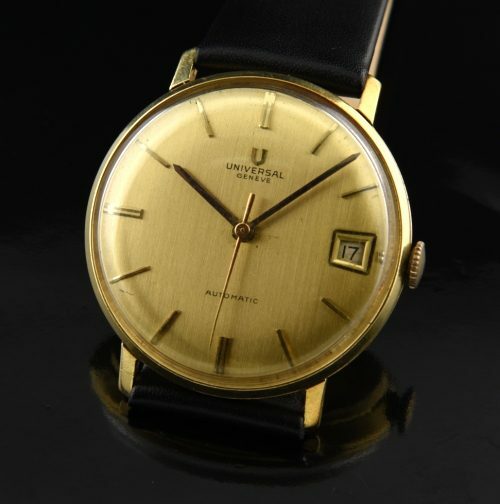 1960’s solid 18k. 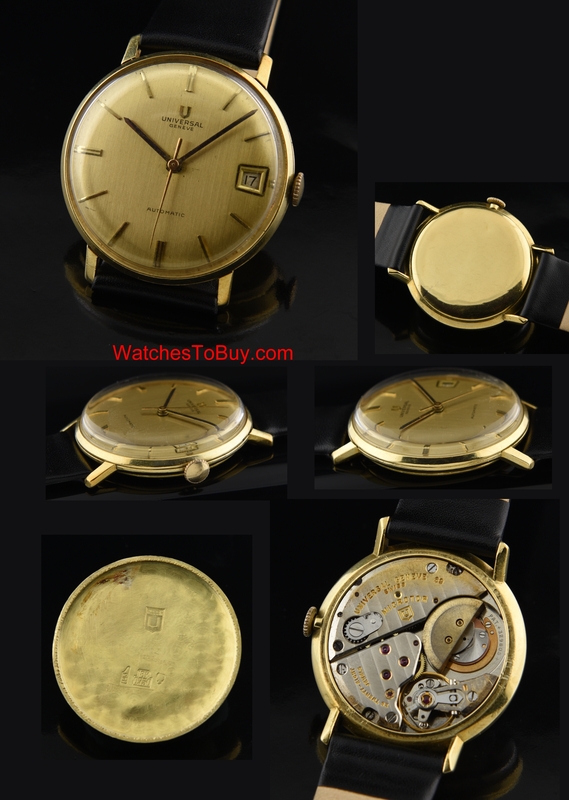 deep yellow gold UNIVERSAL GENEVE having the very desirable automatic winding 28 jewel micro-rotor caliber 69 which we also find in the POLEROUTER. The movement was just cleaned and is accurately keeping time. This gold dial is original with some marks near the center post that are barely visible with the naked eye. The raised gold markers and pencil style hands are original. The solid gold case looks excellent with the usual light dings that are present on the case back from normal use. Notice the trepezoidal shaped date aperture. These watches are quintessentially cool. Just $950.